I am getting so many complaints that I want to talk about this before people buy or rent a chamber from me. A common complaint I get about the chambers I sell are loudness. Some are louder than others. I am about to make a video on the sounds of each type without showing the brands because I am not saying that the loud ones are not as good. Some of the louder ones are very expensive and very powerful and commercially rated that can be used all day long without getting too warm. Some people prefer it to be very quite when they are in the chamber and others put on headphones. Sometimes the "white noise" sound of a loud compressor puts people to sleep and relaxes them. Having a good muffler (silencer) usually solves the problem. Loudest: Highest pitch, cement mixer type sound. Hard to watch a DVD player on low without having headphones on. Softest: You almost have to feel the air to know that the compressor is working. The softest air compressors are no louder than a very soft conversation. The sound is on the baritone side, similar to the noise that my therapist's white noise machine sounds like on the other side of the door. 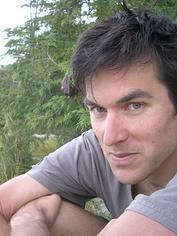 Louder compressors are generally louder that are low powered. Higher wattage, higher amperage, and higher horsepower play a factor. I would say the most important thing to look for is the highest amps, not necessarily the highest horsepower or wattage. A hair dryer can 2850 watts and cost under 50 bucks. The amperage capacity is what makes it expensive. Having a good muffler stops the hissing sound. It is hard to talk on the phone in a loud chamber that has a high pitch noise. There are so many air compressors on the market that I had to call stores that sell air compressors not related to hyperbaric chambers. Every company said they had the best compressor so I had to buy different ones and test them. Some emitted super high EMF also. Usually, the way to stop the noise with a very loud, super high psi compressor, is to get an extension hose, drill a hole in the wall so that the hose goes through the wall and the compressor is in the closet or all the way in the basement if you have a long enough hose. Most clinics that have loud compressors usually have the compressors in the other room so that it is not so loud. All you hear is the oxygen concentrator if they have one. Some companies use dual compressors. I would always use a dual compressor. I worry that one day that if one failed I always have a backup. 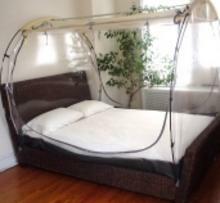 If I sleep in mine and the power goes off, which is a huge fear, I am covered. 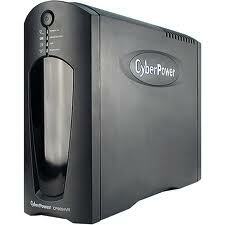 I use a Cyberpower battery backup. The 900 watt avr model is the one I use. Its the Greenpower 1500va one. Any Best Buy store should have one. I also use bring this compressor with me so that when I go to the beach I can hang out by the ocean while everyone else lays on the towels. Do you really think I care what people think of me? I also go to parks and people come by and knock on it and peep in through the window. It's so funny. They have never seen a chamber. I just wave back to them. A picture of the portable battery I use. On the back I can plug several things in it. The battery weighs about 40 pounds. Super heavy. they make cheaper ones but they don't last as long. Beware of compressors that do not display the CE seal. This is a sign that the compressor went though the highly comprehensive process of being approved to display this seal. If you are going to use a chamber, I do not want to use it without this seal. Chambers that are approved do not necessarily have the CE seal. It's the European equivalent to the UL seal that you see on most products that are safe in the USA. 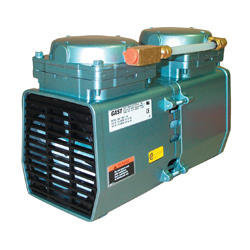 How to buy a quality compressor for your chamber is a question I get all the time. 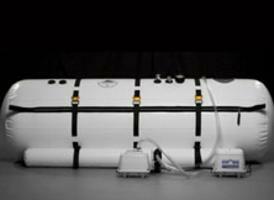 There are 2 types of compressors to choose from used with hyperbaric chambers. A good compressor will have a longer warranty. The oil lubricated ones have the least amount of noise but the larger high powered ones will generally be louder as their are more moving parts. The larger ones will fill the chamber with air faster but make more noise but the small ones will take a little longer but will be quieter. ONCE IT THE CHAMBER IS INFLATED, IT IS ALL THE SAME. It is just weather I want to take a little extra time on the inflation. Noise can be a deciding factor for people that are sensitive to noise. Compressors can be 35 decibels, or higher or lower depending on the compressor. I like the cast iron compressors the best as they block most of the noise compared to the aluminum ones that seem to get louder over time as they aren't as durable. I will not recommend a compressor unless it has been approved and meets all government regulations, period. The cheaper aluminum rods in the cheap models are still approved but usually last the least amount of time before having to replace the compressor. If using the chamber for session after session, continuously, a more powerful compressor is probably better but louder but a high psi compressor can be used in a clinic all day long. If buying it for residential purposes, a small one is fine. Sacrificing noise to high volume usage with residential usage isn't really my concern. The thing I look for most when getting a compressor is lower rms which makes the compressor last the longest. The larger ones usually have higher noise levels but because they are not being used to their full potential and just inflating a chamber which only uses a bout 20% of the compressors full potential, it doesn't create excess heat and thats why clinics usually prefer the larger noisier compressors although the sacrifice is louder noise. Most end up drilling a hole in the wall and putting the compressor in another room or some closet. Some even try to sound proof the rooms they put the compressors in. This is a diaphragm type compressor. This is NOT run by pistons. This runs on a different technology. Each type has its on pros and cons. Some people prefer piston types and other people prefer diaphragm types. One type is not necessarily better than the other. Different manufacturers use different types. The type I prefer might be different than your needs and you might prefer a different type. This type usually runs more quiet and has much cooler air blown out. Since it has no pistons I don't have to oil it constantly to reduce the noise. Since they use less electricity and wattage, they don't create as much EMF as higher powered ones. I ALWAYS PLACE HIGH EMF MODELS IN ANOTHER ROOM.